Celebrate National Hispanic Month Tues. Sept. 15 thru Thur. 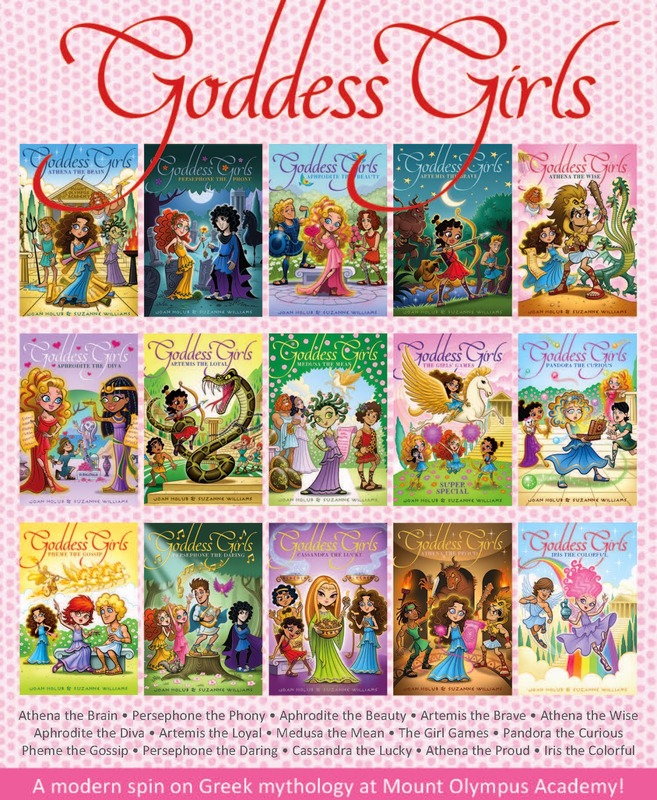 Oct. 15, 2015 with a few titles that will put an “¡Ole!” into your day! This Poem book is “sabroso”, Mmmm! delicious! I can easily picture a child in my lap and each of us studying the wonderful detailed drawings and the animal poems that make us smile. It doesn’t matter if we are reading about a snake that only can say one letter “SSS” or a turtle that moves slowly so rubies and emeralds do not fall from her shell. 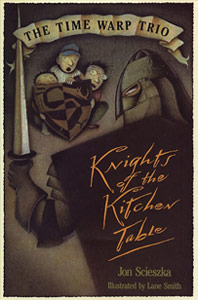 In both English and Spanish the book is “muy rico”/ very rich with delightful illustrations to savor. In this lively picture book, children discover a world of colors all around them: red is spices and swirling skirts, yellow is masa, tortillas, and sweet corn cake. Many of the featured objects are Latino in origin, and all are universal in appeal. Marisol McDonald Doesn’t Match/ Marisol McDonald no combina by /por Monica Brown. Marisol has flaming red hair like her Scotch American dad and nut brown skin like her Peruvian mom. She loves dressing in a wild mixture of polka dots and stripes. Peanut butter and jelly burritos are her favorite lunch food. One day she decides to dress and act like everyone else, so she will match. Is it worth making the change? A great bilingual English/Spanish read aloud for grades 1-3. This is based on an Aztec legend. The Lord of the Night was worried because the people worked all day and night in the dark. They did not laugh or sing. So the Lord of the Night asked the Wind to help free the Three Musicians from the Lord Sun. This is a well told and beautifully illustrated version of this Mexican legend. Playing Loteria/ El juego de la Loteria by/ por Rene Colato Lainez. A Young boy from the U.S. is visiting his grandmother in Mexico. He only knows a little bit of Spanish and she speaks only a little bit of English. How will they be able to talk to each other? This is a lovely bilingual story where they learn each other’s language through the Mexican version of Bingo. This is called Lotería. They discover that loved ones have a special way of understanding each other. In Houston, Texas a family gets ready for Caldo Day. “Caldo de res” is a Mexican soup with lots of vegetables, potatoes, cilantro, stew meat and garlic. The special soup calms a cough, soothes sore muscles and makes everyone feel better. While mom makes the soup, the rest of the family buys the tortillas at the Tortillería, where tortillas are made. You can almost taste the fresh tortillas and delicious soup. A recipe for caldo is included. ‘¡Disfrute! Enjoy! Up and Down the Andes: A Peruvian Festival Tale by Laurie Krebs and Aurelia Fronty. Children from all over Peru come by bus, boat, train, truck and walking for the Sun King’s Festival in Cusco, Peru on June 24. They participate in the dancing, the parades and the wonderful parties. This is a beautiful book that shows the different areas of Peru. Yum! ¡MmMm! ¡Que Rico! By Pat Mora. North and South America grow delicious foods. When Columbus and other explorers brought to Europe some of these new foods, the people all gained needed weight and became healthier. Find out about some of these wonderful vegetables and fruits that started here in the Americas. These are described in short poems called haikus with brief descriptions of these foods; corn, blueberry, chile, chocolate and more! Yum! The author came to the U.S. in 1961 from Cuba with his two brothers. He was 9 years old and part of Operation Pedro Pan, where 14,000 children were sent to the United States without their parents to escape the Castro regime. This novel is based on his experience. This is a fascinating book. Becoming Naomi Leon by Pam Munoz Ryan Grades 4-7. Naomi Soledad Leon is 11 and has been brought up by her grandmother. Life is not perfect, but she and her younger brother, who is slightly deformed, are doing fairly well in a trailer park in California. Then her alcoholic mother, who has been gone for 7 years returns with a no good boyfriend. Gran gets into the car and takes the two children on a trip to Oaxaca, Mexico in search her father who is a fine man. This way her daughter, will not have legal custody of the children. This gives an amazing look into life in Mexico. This book of memoris is told through poems. Ms. Engle lived in Los Angeles and spent summers with her mother in Cuba. She finds herself divided because the two countries she loves are at war. Will her family in Cuba be alright after the Invasion of the Bay of Pigs? Ms. Engle was the first Latina to win a Newbery Honor with her book, Surrender Tree. How Tia Lola Came to Visit/ Stay by Julia Alvarez. Grades 3-6. Miguel Guzman lives with his sister and mom in Vermont after the divorce. In comes a crazy aunt, his mother’s sister, from the country of the Dominican Republic. Miguel is afraid that his friends will meet his nutty aunt. In time, all of the town warm to Tía Lola, as she cooks exotic foods and learns English. The story is full of humor as Tía makes a lot of mistakes in her new language and her visit becomes permanent. The Revolution of Eveyln Serrano by Sonia Manzano. Grades 5-8. Written by the actress who plays Maria on Sesame Street, this is a very special inside view of what life was like in the Puerto Rican Part of New York City during the civil rights movement in 1969. Fascinating! Trapped: How the World Rescued 33 miners from 2,000 feet below the Chilean desert by Marc Aronson J 363.11 ARO Grades 4-8. This is a true account of the miners that were trapped in 2010 in a copper mine in Chile. You’ll be amazed at the diagrams of the mine. There is only one safe place for the men in the miles of the mine. The world didn’t have the technology to save the men. They had to invent it. Oil drillers, astronauts, submarine specialists and experts around the world came together and tried different ways to get the men out. Whose way will work? Or will any of them be able to reach the men in time? A breath taking, true life thriller. 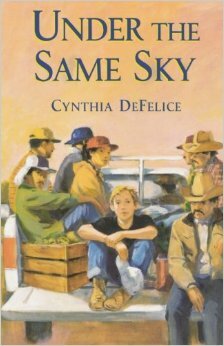 Under the Same Sky by Cynthis DeFelice Grades 5-8. Joe Pedersen’s family owns a large farm in New York State. The workers all are from Central America. Joe has never paid attention to the operation of the farm until he wants to earn money for a motorcycle. He learns a lot that summer as he picks strawberries and cares for cabbage along with the migrant workers who tend his farm. He realizes that life for his friends is far more complicated than he imagined. His life too becomes difficult because he wants to help, but he may have to break the law. A great read! Well, we are just so very thrilled that you asked! Below is a suggested reading list compiled by the beautiful minds in the Children’s Department of the Main Branch of WCPL. 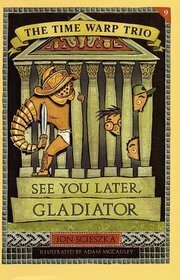 You can also find some great recommendations at Amazon.com, and straight from the (Trojan) horse’s mouth at Rick Riordan’s website and blog at http://www.rickriordan.com. In the first book in the series, The Battle Begins, Owen is just an average kid with an average life, until his best friend Dana disappears right before his eyes. Owen brings their friends Jon and Sydney into the loop, and they embark upon a mysterious, mythological search-and-rescue mission. AR level 3.6. 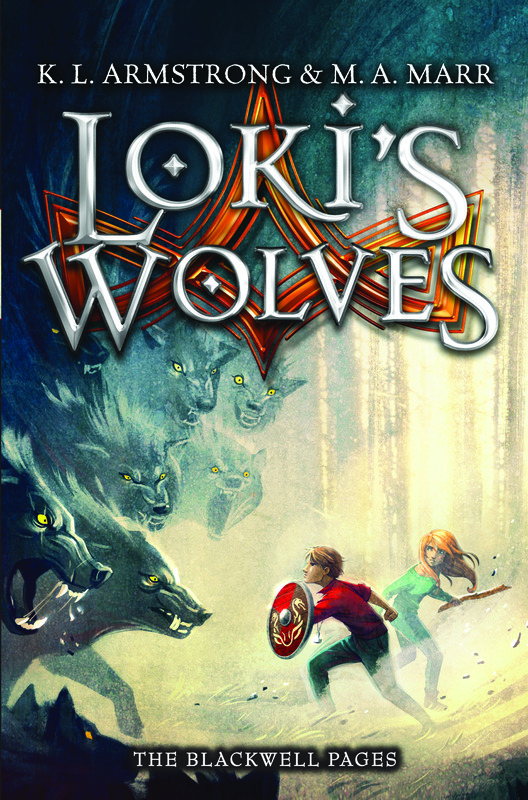 Loki’s Wolves by Kelley Armstrong (Norse) AR level 4.4. A millennium ago, Arthur Pendragon’s last surviving grandson led the survivors of Britain through a mystical gate to a land of bright magic and dark creatures. Now, a thousand years later, the descendants of those exiles face a threat that could destroy their peaceful, prosperous kingdom. AR 4.9. Sixteen-year-old Telemachos has a great life on his island home of Ithaka, which is ruled by his mother Penelopeia while Telemachos’ father Odysseus is away fighting the Trojan War. 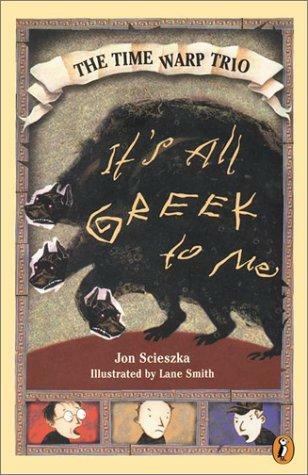 But Ithaka’s citizens are demanding a new king, and it is up to Telemachos, with only a vague and mysterious prophecy to guide him and his two best friends to accompany him, to find Odysseus and bring him home. AR level 5.5. 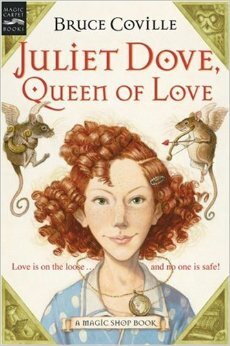 Juliet Dove, Queen of Love by Bruce Coville (Greek) AR level 5.0. Pandy, aka Pandora Atheneus Andromaeche Helena, has a fantastic prop for a show-and-tell project at school. She knows the box that Zeus himself gave to her father must never ever be opened, but accidents happen, right? And now it’s up to Pandy to capture all seven evils that escaped from the box, or go down in history as the girl who ruined the world. This fun series begins with Pandora Gets Jealous. AR level 5.5. In the summer of AD 79 in the city of Pompeii are two girls named Julia and Sura who lead very different lives. When the girls learn of the plans their parents have for each of them, coupled with the impending eruption of Mount Vesuvius, they are forced to confront the true meaning of freedom. AR level 5.1. In the first book of this clever and engaging series, The Thieves of Ostia, amateur detective Flavia Gemina and her friends must solve the mystery of who beheaded the guard dog belonging to her neighbors (who are secretly Christians.) Although some of the descriptions of the violence that occurs may be too graphic for more sensitive readers, this book provides an intriguing glimpse into the customs, attitudes, and culture of the Holy Roman Empire. AR level 5.2. What if there were 13 zodiac signs instead of 12? And what if you accidentally unlocked the 13th one, Ophiuchus, and that infuriated the other signs? In this fast-paced book, Jalen does exactly that, and along with her best friend and her brother must battle in the streets of New Orleans to get the signs back where they belong. AR level 4.4. Time Warp Trio series by Jon Scieszka (Various eras/locations) AR 3.5-4.0.